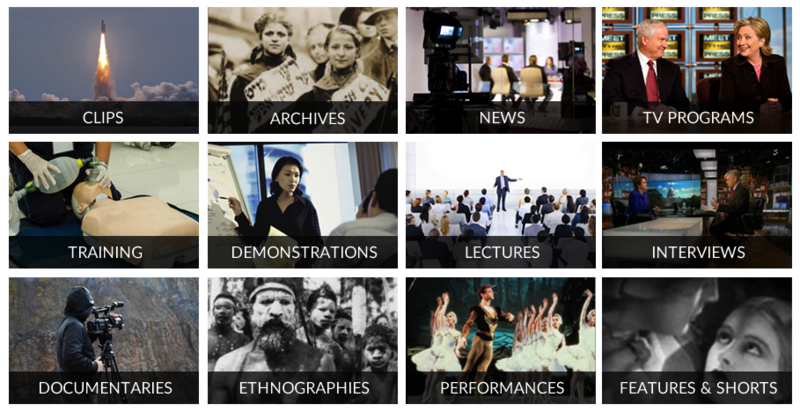 Academic Video Online provides us with access to over 50,000 video titles covering subject areas such as Anthropology, History, Criminal Justice, Business, Counselling, Social Sciences, Education, Theatre and Drama, Diversity Studies, Science, etc. There is a wide range of material available including documentaries, interviews, performances, news programs and newsreels, field recordings, commercials, and raw footage. And you will find thousands of award-winning films, including Academy, Emmy and Peabody winners. The collection includes content from over 500 distributors, producers, and filmmakers such as BBC, PBS, 60 Minutes /CBS, NBC, Intelecom, Insight Media, Envision, Inc., etc. The site is easily searched with both basic and advanced search options and you can also browse the site by subject area, learning segment or featured partners i.e. producers or distributors. 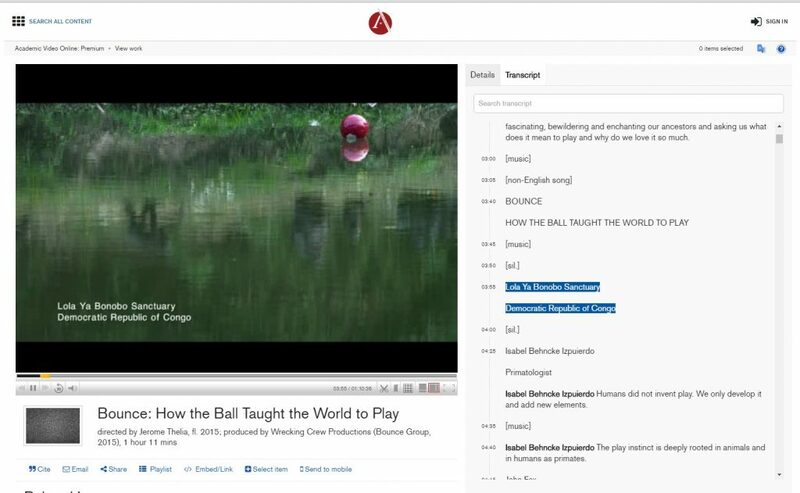 Academic Video Online allows you to create and share playlists and create clips, permalinks are also available to embed or link to from other sites. Transcripts are available for many of the the videos and these can be searched. You can access Academic Video Online from the usual Database pages on the Library website or via DiscoverEd. Access is only available to current students and staff at University of Edinburgh. This entry was posted in Library, Library resources, New and tagged Anthropology, databases, documentary, film, gender studies, history, international relations, media, news, online resources, politics, Social & Political Sciences, social anthropology, sociology, video by spslibrarian. Bookmark the permalink.